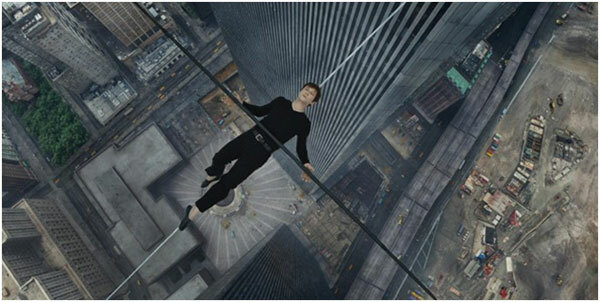 Robert Zemeckis’ The Walk was a biography of French high-wire artist Philippe Petit, and was based on the high-wire walk between Twin Towers of the World Trade Centre on August 7, 1974. Starring Joseph Gordon-Levitt, highlight of the film was the believable recreation of the historic walk. 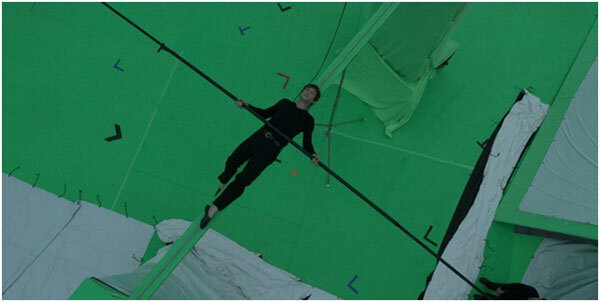 Gordon-Levitt trained under Petit, and shot for the climactic wire-walking scenes on a soundstage. But the real magic happened behind the scenes when Atomic Fiction, led by visual effects supervisor Kevin Baillie reproduced the final walk for the film. 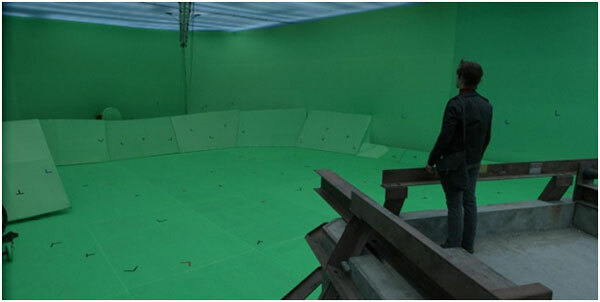 Besides Gordon-Levitt’s training, the VFX process involved lengthy previs, a green screen studio in Montreal, simulcam setups, stunt doubles, face replacements, meticulous replication of 1974 New York and the Towers, innovative cloud rendering, and some neat compositing. 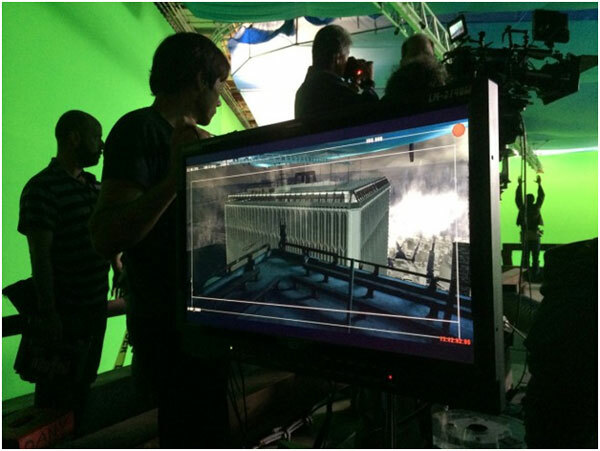 The team was sure that they had to create a set of the rooftop of the World Trade Center Towers and the rest would be green screen. But the actual problem was to decide how much of set to build. These questions were solved using previs. It helped them decide where the characters would run around on the roof. They built a 40x60x12 foot tall section of the corner of the south tower rooftop where most of the action happens. 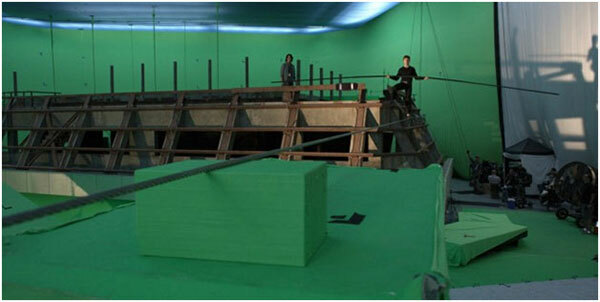 The rest was VFX set extension. Since the shoot was on a stage (at the MELS film stages in Montreal) the team could avoid the problems of changing light and weather. DOP Dariusz Wolski rigged an area of space lights in the ceiling to replicate the sky. The most important part of this live-action film was the need to portray Petit’s death-defying walk convincingly. For that several methods were adopted. 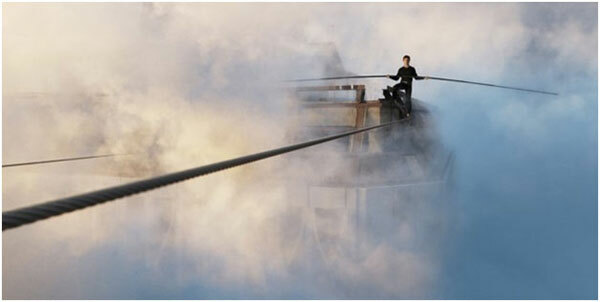 Gordon-Levitt was trained by the actual wire-walker himself, and continued training during photography. For scenes on the wire, production utilized the actor, or his stunt double, on a real wire, on special planks. Once the actual shooting was done, they would transfer the shot to the computer, and use NUKE’s warping tools to bend the wire very subtly to make it look 100 percent believable. Since the team had created a detailed previs, it also helped them recreate a believable 1974 New York, including the towers, in the near and far background. 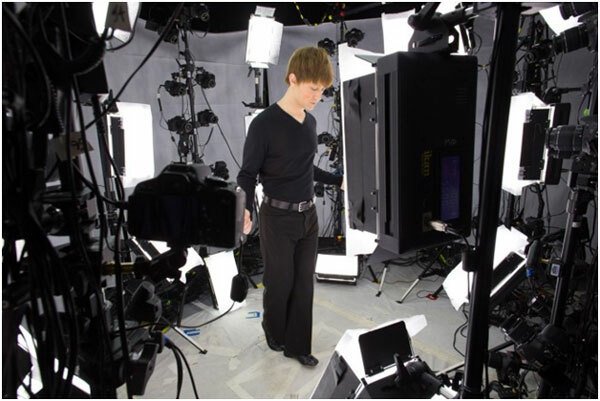 On the set, the filmmakers relied on techvis and a simulcam real-time camera tracking. One challenge faced during shooting was the cross-over between previs, the actual partial set-build and assets. These they matched during the postvis. Since a stunt double was used for some wire work, and with occasional views requiring pull backs or push ins further than the green screen set would allow, Atomic Fiction did produce a couple of dozen face replacement and digi-double shots. This was done by Pixelgun with a rig of 100 cameras. An iconic figure of the New York skyline for more than 25 years – both physically and emotionally – the Twin Towers were crucial, but challenging, assets that had to be built for the sequence. Reference here was the key factor, and the art department scoured thousands of photos and pieces of footage. Since the towers would be affected so much by their environment, it became clear that the entire surrounding world had to be built in 360 degrees. A large part of the success of implementing the world and also the anodized aluminum look came from Chaos Group’s new V-Ray GGX shading model. Atomic Fiction had also garnered from various reference that views of inside the towers could be seen through the windows at extreme angle. So they detailed the interiors of the WTC tower building for about 30 floors and replicated those. Having a visual depth and parallax inside the building helped to make it a lot more believable. During the first roof-level view and Petit’s delicate walk, the New York surrounds are on show, often for lengthy shots and in constantly changing weather and lighting. Again, heavy book & footage reference was utilized here, while Baillie also filmed plates of current day New York to get a sense of how the city felt from that high. Atomic Fiction began building a 1974 New York. For the most part, the buildings were all hand-built. Some procedural weathering was done for believability. Everything was rendered in V-Ray. The process was also assisted by custom development work by Atomic Fiction for its own cloud rendering tool, Conductor. Since there was not a great deal of time to complete the work, Baillie rejected an R&D effort to build a traffic system to fill out the world. Instead, their animator went and animated all the cars in the streets below doing all the right things. They created a 2,000 frame long traffic cycle for the film. It was the same with the layout of the props and traffic lights and hot dog stands in the streets. Amongst all of this visual effects work was another central aspect to the film – stereo. Zemeckis leaned heavily on the 3D side of the final image to help immerse the audience in Petit’s world, both between the towers and in many other moments during the film. To do this, the director actually shot in mono but for stereo. Legened3D handled the conversion work, taking packages of final comps from the VFX vendors and layering them together within the desired stereo. 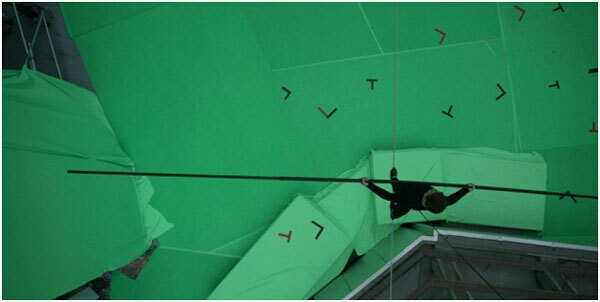 Although this article concentrates on the main wire sequence, The Walk also included significant visual effects contributions from two other studios – Rodeo FX and UPP. Rodeo delivered effects for several Twin Tower ground level scenes that had been filmed only on partial sets, as well as the shots of Petit narrating the film upon the torch of the Statue of Liberty. UPP handled Paris sequences that were filmed in old Montreal, Petit’s early wire performance at a park in France (filmed almost entirely on green screen), and his walk between the towers of the Notre Dame cathedral (again a green screen stunt). All images and clips copyright 2015 Sony Pictures.